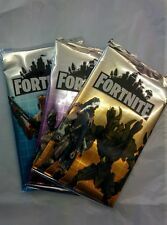 Fornite Night Trading Card in Foil pack. 1 x Foil pack for £1.99 only. There are different types of cards available. We will dispatch cards randomly. Cards as shown in pictures. Foreign Language. See our other Fornite products for more options!! One box comes with 36 x foils. Birthday Gifts. Trading Card. Cards as shown in pictures. Foreign Language. See our other fortnite products for more options!! S.H.Figuarts Super Saiyan 3 Goku - Bandai Tamashii Nations - New. Condition is New. Dispatched with Royal Mail 1st Class. Bandai Figuarts Zero One Piece Monkey D.Luffy Gear 4th Boundman Leo Bazooka New. Condition is New. Dispatched with Royal Mail 2nd Class. 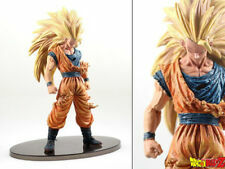 BANPRESTO DRAGONBALL Z BWFC SON GOKOU. Condition is New. Dispatched with Royal Mail 2nd Class. Dragonball Manga Complete Box Set. Condition is Used. Dispatched with eBay delivery – Shutl 1 day. ROBOT SPIRITS SIDE MS RGM-79 GM Ver A.N.I.M.E. Action Figure BANDAI NEW Unop. Condition is New. Dispatched with Royal Mail 2nd Class. New Arrival. Picture Show. Add to Favourite. Why Buy From us. Condition : New. Isle of Wight: PO30-PO41. Northern Ireland: BT. Scilly Isles: TR21-TR25. Zoro 20th anniversary (One Piece Pirates) Bandai Tamashii Nations Figuarts New. Condition is New. Dispatched with Royal Mail 2nd Class. Tamashii Effect Wave Blue Version Bandai NEW UNOPENED. Condition is New. Dispatched with Royal Mail 2nd Class Large Letter. DESCRIPTION Character Family:Harry Potter Character:Luna Lovegood Features:The head is rotatable Material: PVC Height:Approx.10cm Type:Action Figure Recommended Age Range:3 . Overwatch - Mercy Cobalt Pop! Vinyl. Condition is New. Dispatched with Royal Mail Signed For® 2nd Class. EPL: Arsenal - Mesut Ozil Funko Pop! Vinyl . Condition is New. Dispatched with Royal Mail 2nd Class. Godzilla - 6 inch Pop! Vinyl Figure - Funko. Condition is Used. Dispatched with Royal Mail 2nd Class. METAL BUILD GUNDAM SEED ASTRAY RED FRAME Action Figure BANDAI NEW from Japan. Condition is New. Dispatched with Royal Mail 2nd Class. Funko Pop! Rides: Toy Story - Woody w/ RC. Rides pals. Toy Haven UK. UPC 889698370165. Nintendo Amiibo Kirby (kirby Series of Stars) :197. Condition is New. Dispatched with Royal Mail 1st Class. Official item not a ko. Gundam Fix Figuration #0015 FA-78-2 Heavy Gundam UNOPENED. Condition is New. Dispatched with Royal Mail 1st Class. This is a Zoids Spinosnapper, by Tomy. Starting price £8. Pop! Movies: A Nightmare on Elm Street - Freddy Krueger vinyl figure is a small reminder of the frightening movie character who haunts dreams. Standing approximately 3 ¾ inches tall this vinyl figure is posed wearing his familiar striped sweater with a dingy brown hat. His right hand boasts the glove with trademark long slicing blades. Don't miss out on all the Freddy Krueger figures available through Funko!. Sailor Uranus Sailor Moon Sailor Uranus Pop! Sailor Uranus. We are here to help! General Interest. Funko Pop Animation: Dragon Ball Z - Piccolo Vinyl Figure. Condition is Used. Dispatched with Royal Mail 2nd Class.